Two characters from The CW's Reaper have a reunion in the Kevin (Probably) Saves the World episode "Old Friends." The TV series revival you didn’t realize that you wanted so badly is happening on ABC’s Kevin (Probably) Saves The World on Tuesday, February 20! 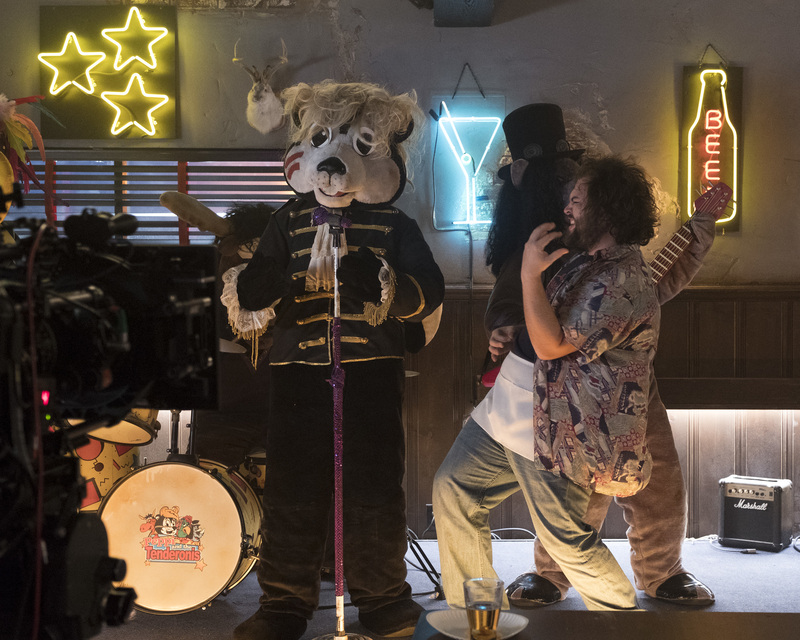 In the episode, which is titled “Old Friends,” Bret Harrison and Tyler Labine reprise their roles from The CW’s Reaper as Sam and Sock. We’re not exactly surprised that it was attempted as Kevin (Probably) comes from Reaper creators Michele Fazekas and Tara Butters, but we are surprised that it’s actually happening! Here’s how ABC describes the episode; some photos follow below. If you’re not familiar with Reaper, it was a short-lived but fantastic series that aired from 2007-2009 on The CW. The show – which saw a young slacker collecting escaped souls for the Devil himself (Ray Wise) – was successful but on a network where priority went to shows by CBS Studios or Warner Bros. in an era where Gossip Girl ruled at the time, it didn’t continue beyond Season 2. Both seasons are available on DVD and Amazon Video. Desperate to repair his friendship with Tyler, Kevin enlists the help of Kristin to pull off a grand gesture to win him back. While working to do so, his relationship with Kristin deepens, and they meet a mysterious, strange duo who are hiding out in the middle of nowhere (guest stars Bret Harrison and Tyler Labine, reprising their “Reaper” roles). At the same time, Kevin tries to help Marc, a young man who has left home in search of adventure; and Yvette and Dave continue to struggle with human tendencies, on ”Kevin (Probably) Saves the World,” TUESDAY, FEB. 20 (10:00–11:00 p.m. EST), on The ABC Television Network, streaming and on demand. Kevin (Probably) Saves the World stars Jason Ritter as Kevin Finn, JoAnna Garcia Swisher as Amy Cabrera, Kimberly Hébert Gregory as Yvette, Chloe East as Reese Cabrera, J. August Richards as Deputy Nate Purcell, Dustin Ybarra as Tyler Medina and India de Beaufort as Kristin Allen. Guest starring in this episode are Will Sasso as Dave, Rhenzy Feliz as Marc, Lesley Boone as Lucille Russo, with Bret Harrison as Sam and Tyler Labine as Sock. “Old Friends” was written by Chris Dingess & Craig DiGregorio and directed by Michael Patrick Jann.